Schedule a career coaching or Handshake appointment now by clicking here. 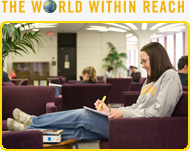 Search for jobs and internships posted specifically for UAlbany students and alumni. You can also schedule appointments through Handshake! Check back often for upcoming events events hosted by other organizations. For more information on these events contact the sponsor directly.